As a beauty and tea lover these delightful Christmas gift sets from Aurelia Prioboitic Skincare tick all the boxes. This luxury set includes Aurelia’s Miracle Cleanser (120ml), an aromatic, creamy infusion that glides on to the skin and lifts off all impurities and make-up. Naturally fragranced with an uplifting essential oil blend of Eucalyptus, Chamomile, Rosemary and Bergamot this creamy cleanser, along with its soft antibacterial bamboo muslin cloth, buffs away dead skin cells and make-up whilst helping to stimulate the skin’s natural renewal process. In addition, Aurelia has created a signature blend of morning time tea – a refreshing infusion to be enjoyed in an exquisite pink and gold tea cup and saucer which is included. Fabulous. 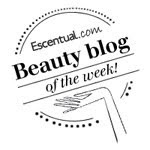 Gift set includes Aurelia’s Cell Repair Night Oil (50ml), an intensive overnight boosting treatment. Naturally fragranced with a floral blend of Neroli, Lavender, Rose and Mandarin, it works to hydrate and soothe dull and dehydrated skin, promoting a luminous, dewy and radiant glow. In addition, Aurelia has created a signature blend of relaxing night time tea – a warming infusion to be enjoyed in the exquisite gold and pink tea cup and saucer included. My favourite and just perfect for cold, winter evenings. This relaxing night time tea contains a heavenly mixture of aromatic, candy-pink petals and rich black China tea leaves that result in a delicate wine essence with hints of chocolate and rose. I love this! Monday to Sunday Bamboo Muslin Gift Set £18 - A beautifully packaged gift of seven Bamboo Muslin Cleansing Cloths, one for every day of the week.. 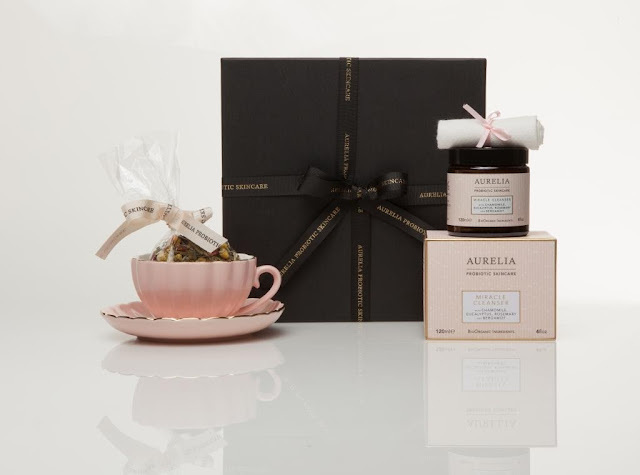 I used the complimentary gift wrapping that Aurelia are currently offering as an excuse to purchase the Cell Repair Oil, which I have coveted for more than a little while - I do like their pairing of tea with a product though, very original. Thanks for this.